An 8-Bit demake of God of War, this game is a love letter to both the series itself as well as old school gaming in general. Characters and some story elements (c) Sony Computer Entertainment America LLC, used with permission. We are not affiliated with Sony in any way; this game is purely a not-for-profit fan game. 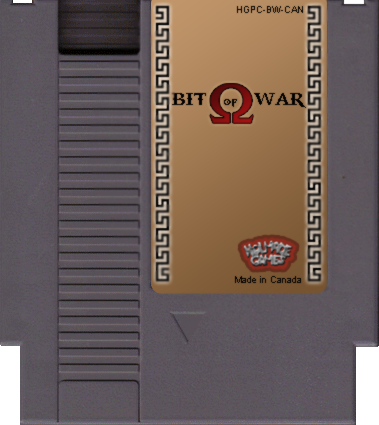 This is the initial release of our 8-Bit God of War demake! See the README1ST.txt within the .zip file for play controls and more. Thanks so much! That is hugely appreciated! Hmm, a god of war game that I could actually enjoy. Is it possible? Its really nice! Looks more fun than oldshool Mario Bros, meaning this is a good game! It will be cool it was available for PSP, beause its like the Mario game, but for PSP with the enhancement of God of War. Imagine playing this unique mode of platform God of War on the go. Congrats! If you possibly can port it to the PSP, I will really appreciate it, as well as many other PSP users. Well, now let download this game and start playing!